Remember when La Chaparrita (1718 4th St., Eureka) closed and then opened again next to McDonald's? Prepare to reboard that emotional roller coaster, because it has lost its lease and is closing again. 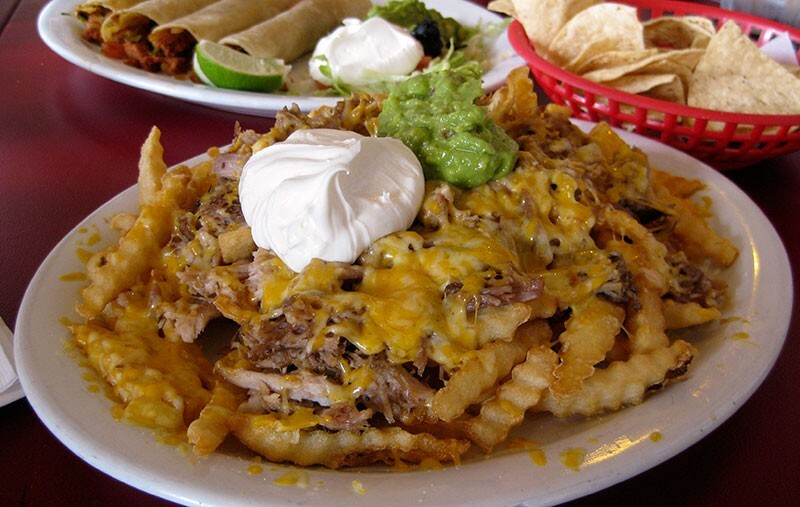 Saturday, April 19 will be the last day to get your fix of the San Diego style Asada fries ($8.50), which can be ordered topped with carnitas instead of grilled beef, and which send my children into a focused and blissfully silent mode of eating. Fall-apart lamb barbacoa, a treat for weekends only. 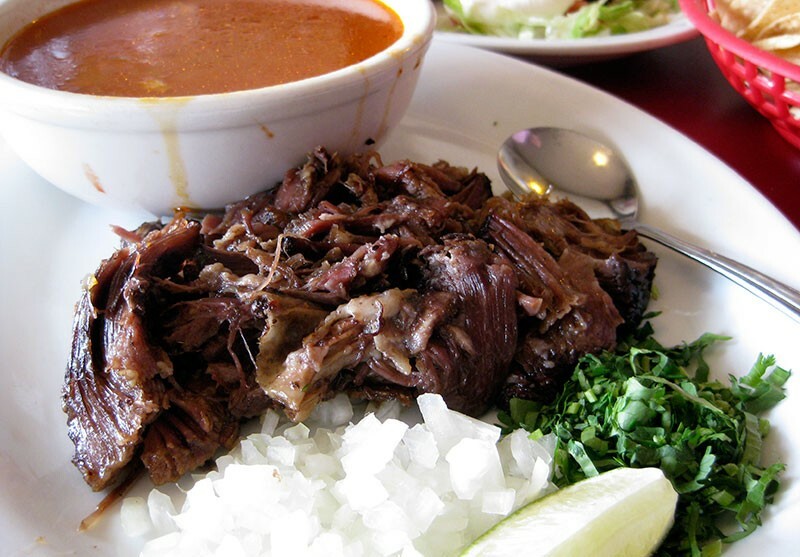 City flags should be at half mast for the lamb barbacoa, though ($13). Owner David Cruz would get a whole lamb from Redwood Meat Co. and steam it overnight until it fell apart like pulled pork. It was served with a thick consommé full of chick peas, into which you could dump some of the meat, a little salt, onion, cilantro and lime to eat it like soup. Or you could use the soup as a dip for the lamb tacos you made with the side of warm corn tortillas, sort of like a French dip sandwich. It was only ever available on weekends, and it's unlikely the restaurant will cook a whole lamb this week. Why tell you now, when it's too late? Because there is hope. Cruz and his wife Chenda Perez are keeping an eye out for a new location. Crossing my greasy little fingers.